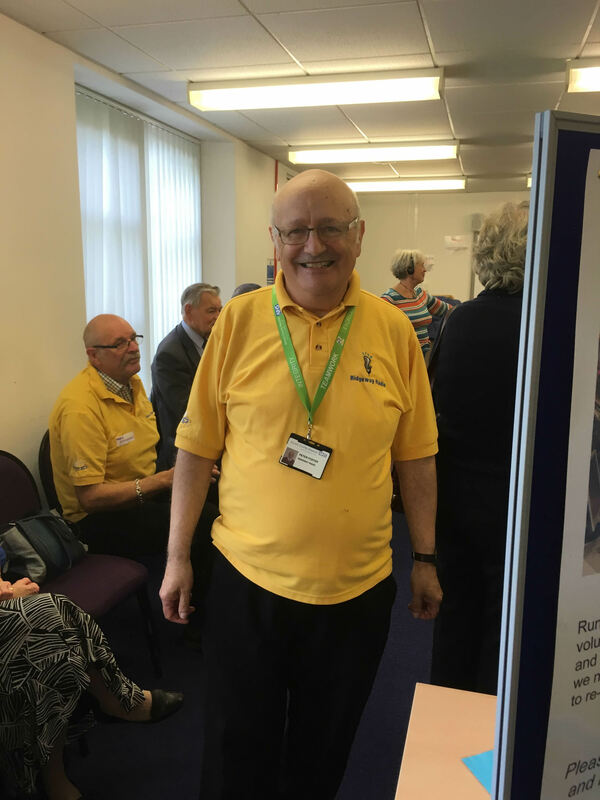 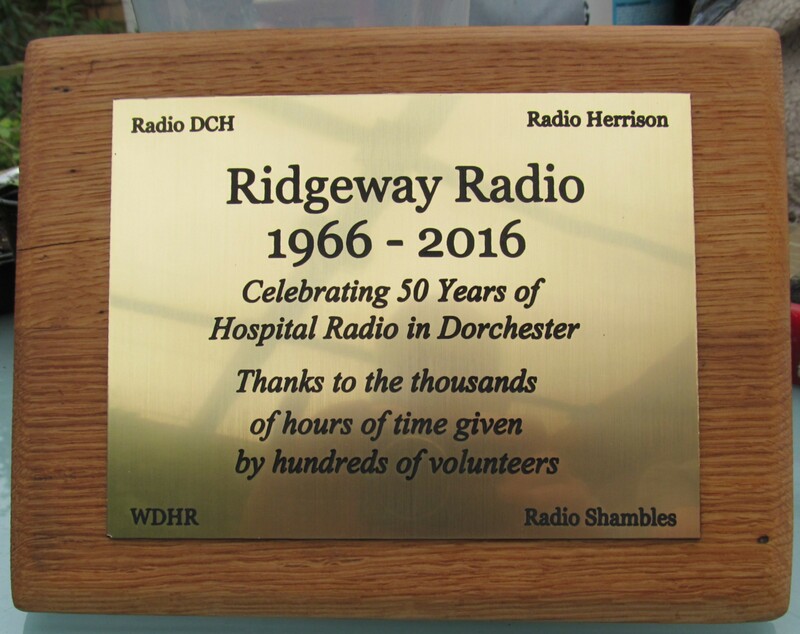 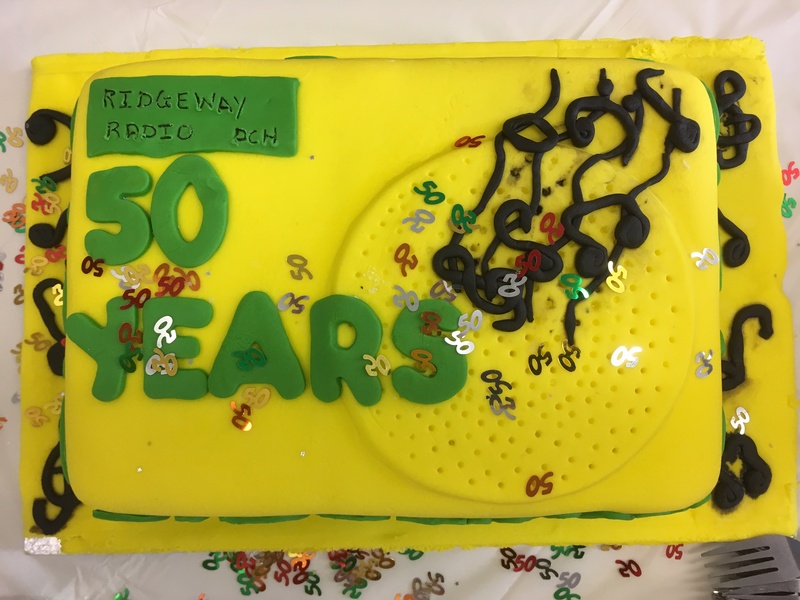 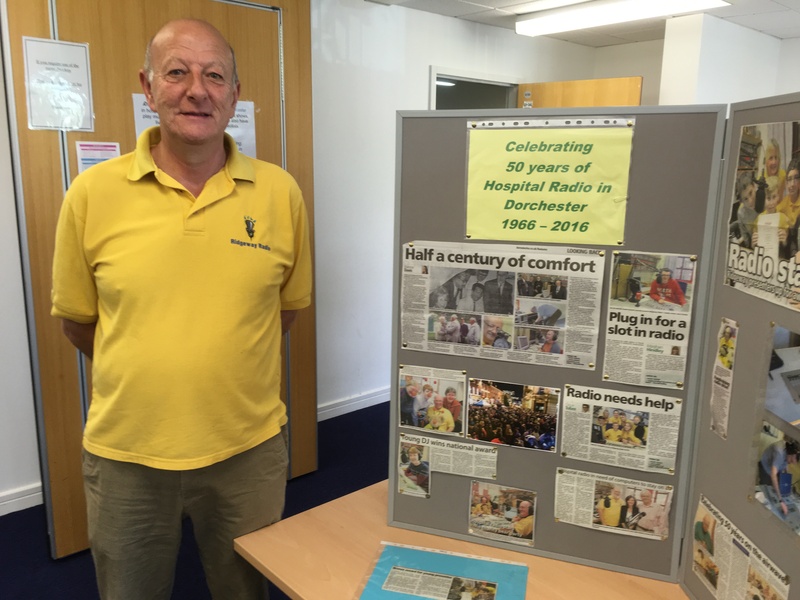 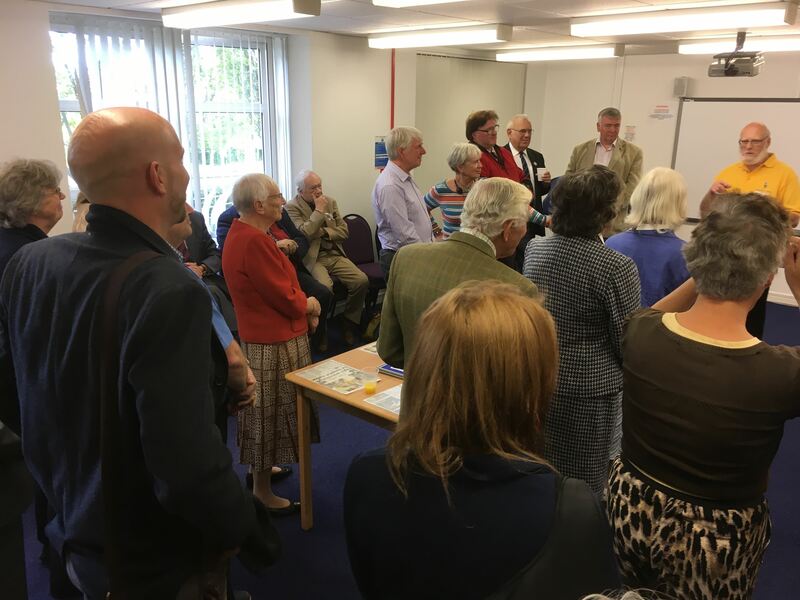 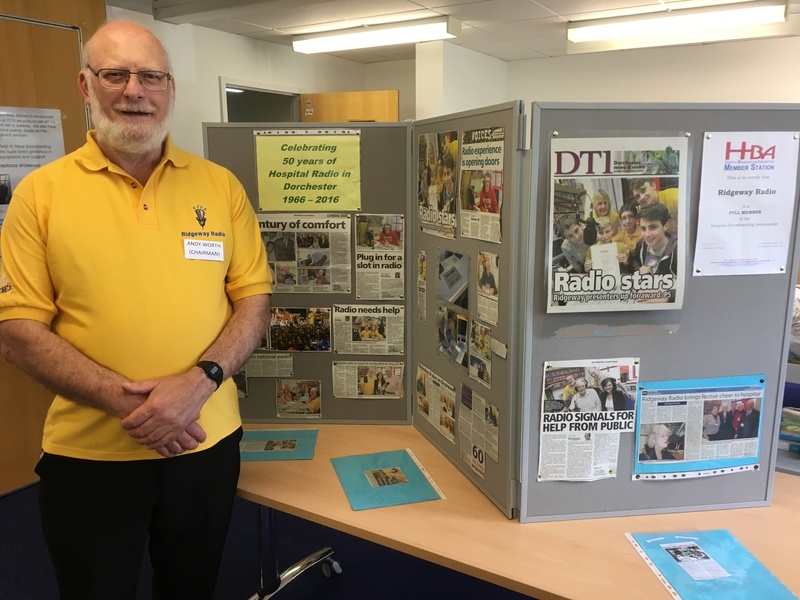 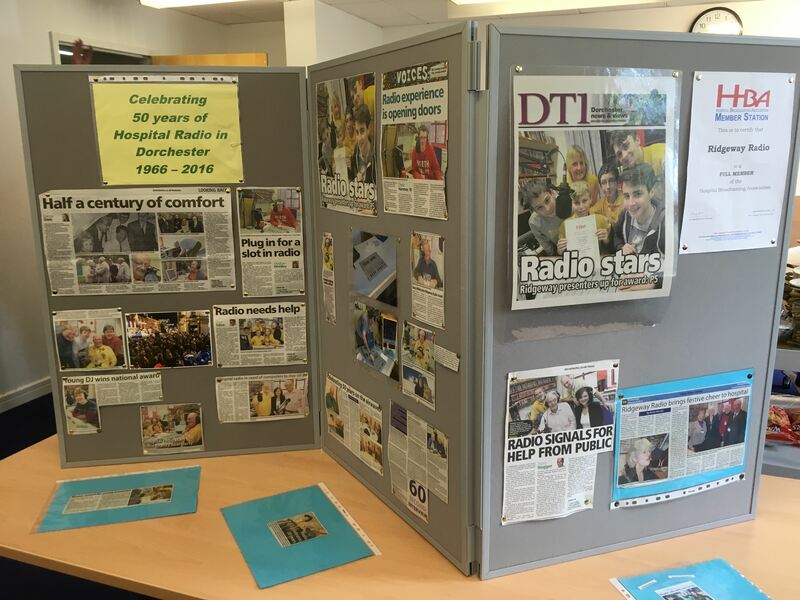 The 29th September 2016 saw the 50th anniversary of Hospital Radio in the Dorchester area and culminated in a day of celebration with a special reception for invited guests held in the Hospital’s Education Centre which included an excellent buffet and celebratory cake prepared for us by the DCH catering department. 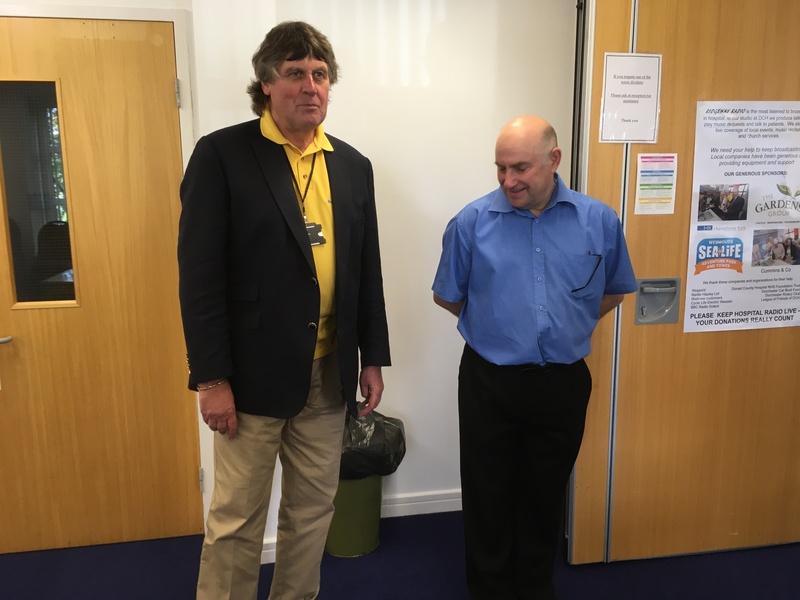 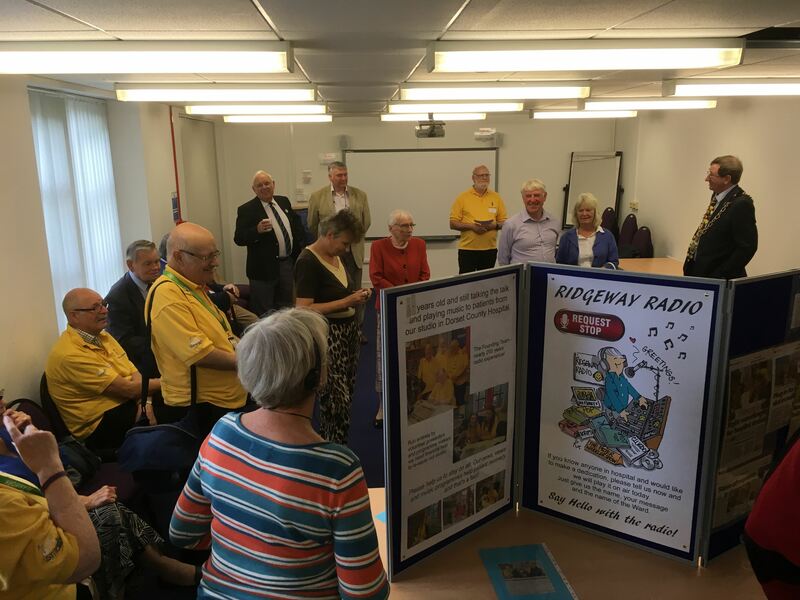 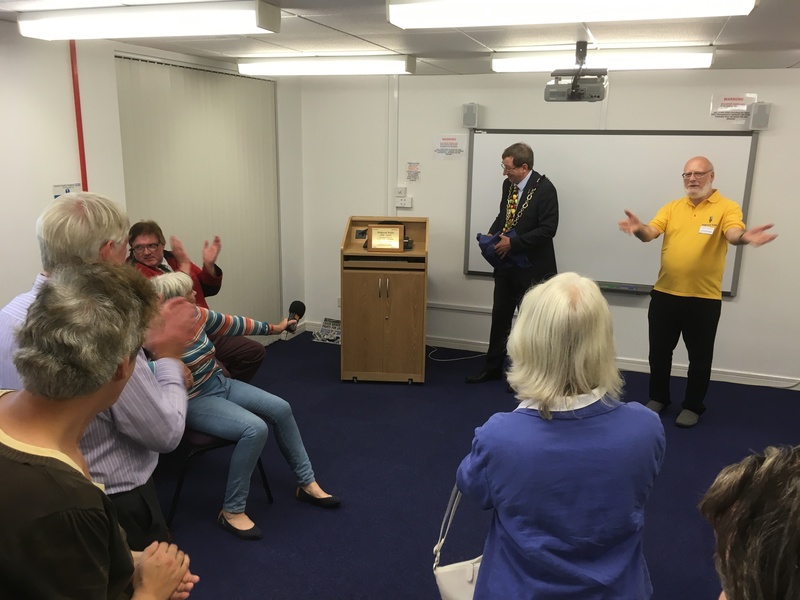 During the event the Ridgeway Radio Chairman, Andy Worth, gave a short address and invited the Mayor of Dorchester, Councillor Tim Harries to unveil a commemorative plaque specially made by former Ridgeway Radio member Rob Mott. 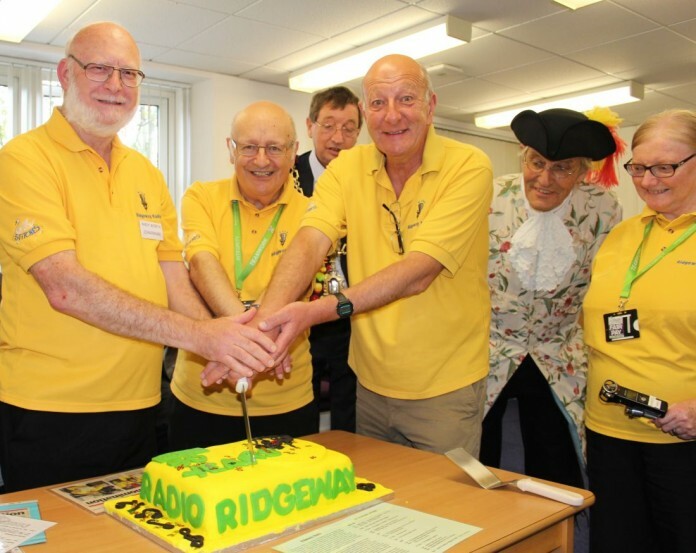 That was followed by the cutting of the cake by three of the founder members of Dorchester hospital radio. 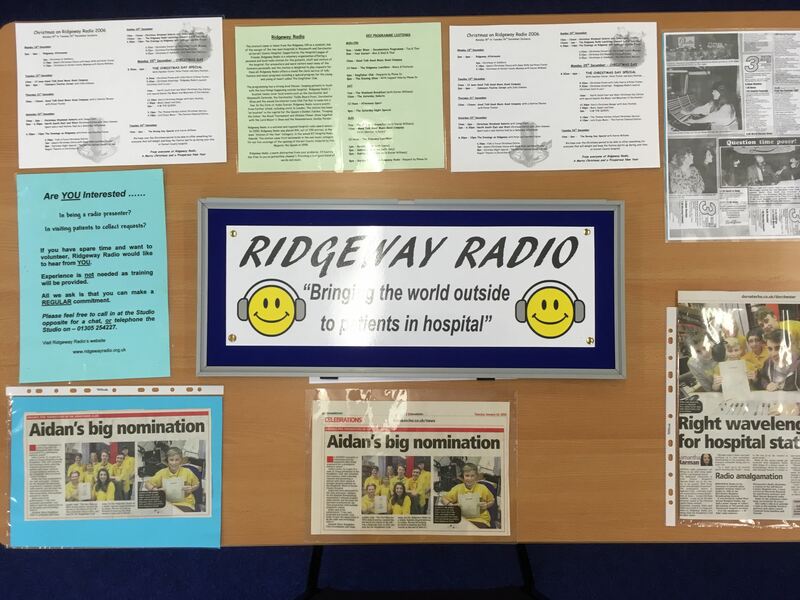 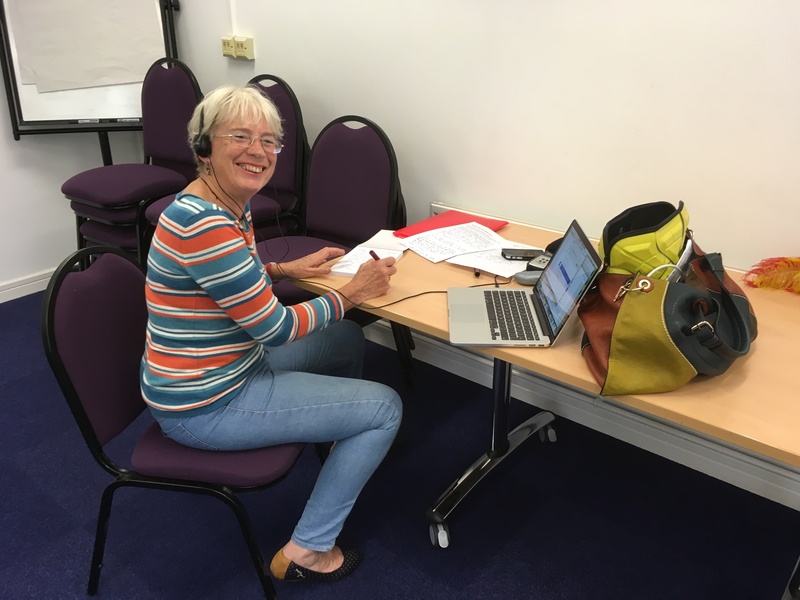 Our live programming during the day was very much focussed on the 50th anniversary with recollections of the past 50 years of hospital radio broadcasts together with various excerpts of past programs. 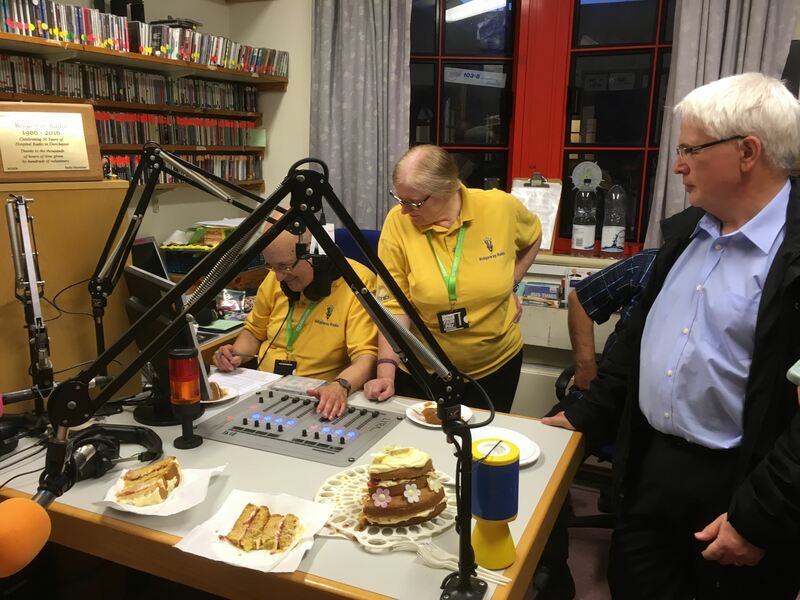 The first broadcast by the Dorchester Hospital Broadcasting Society (as it was originally known) was at 8pm on 29th September 1966 and 50 years later – at exactly the same time, date and day of the week! 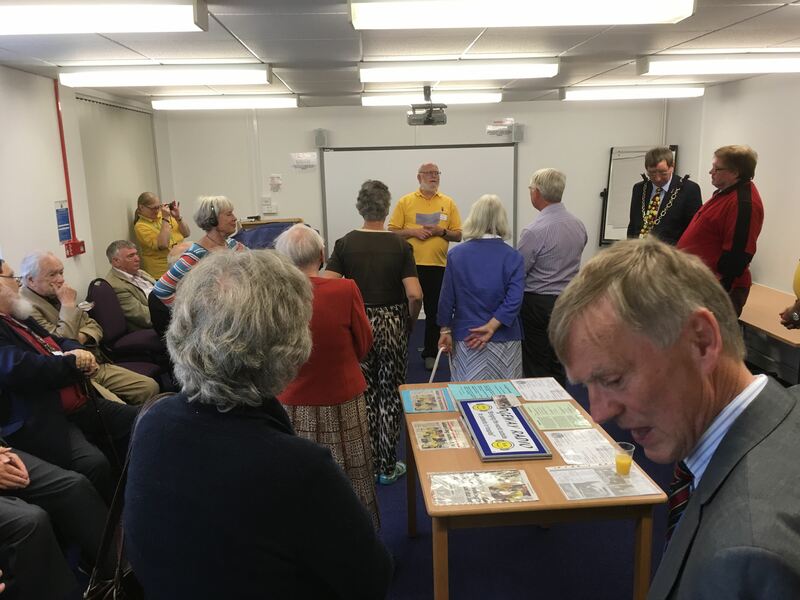 – the occasion was remembered by playing what had been the Society’s original signature tune ‘The Farmer’s Boy’ heralding a programme of more remincences and anecdotes from those 50 years by the founder members, Peter Foster, Heather Foster, Andy Worth and Andy Venton. 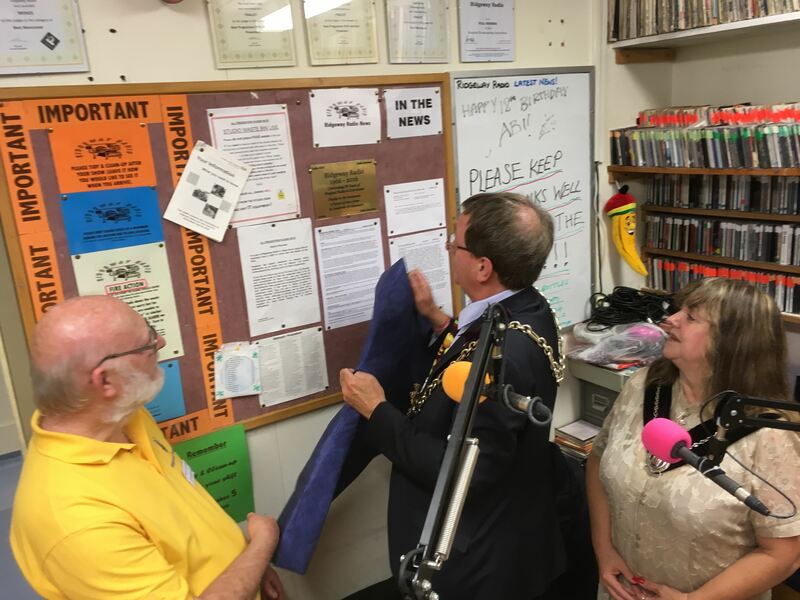 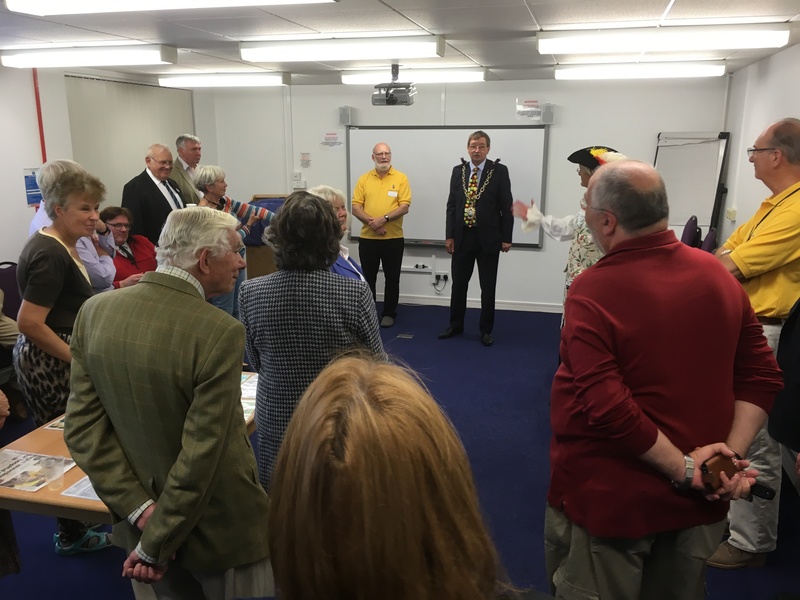 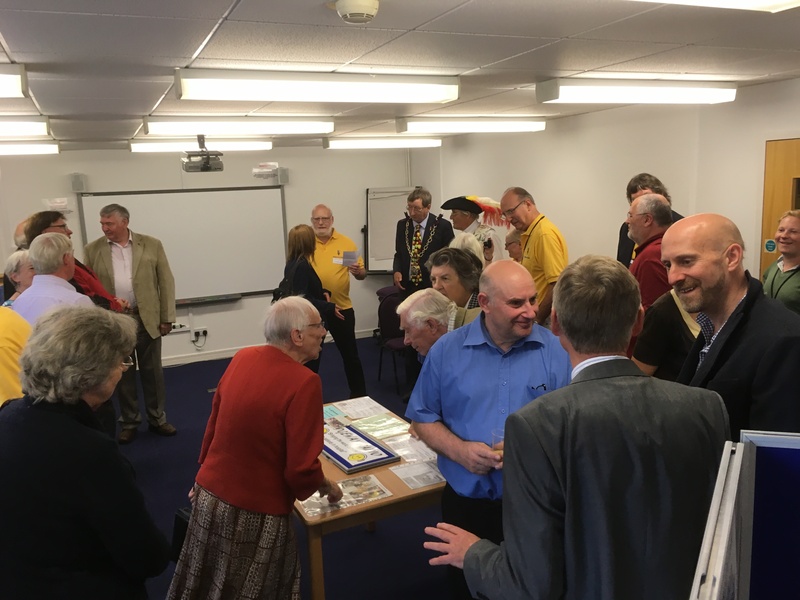 The Mayor and Mayoress of Dorchester, Tim and Anita Harries also took part in the programme and Tim was invited to unveil a second plaque, this time in the studio. 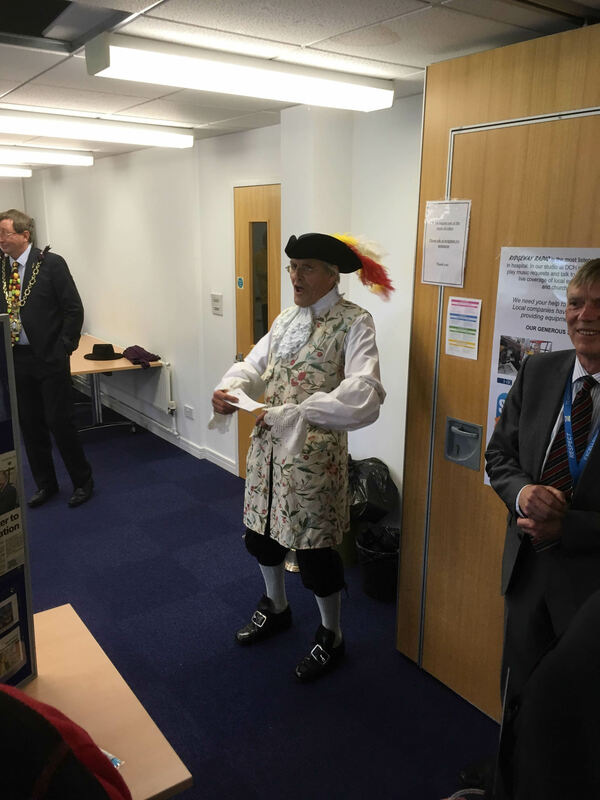 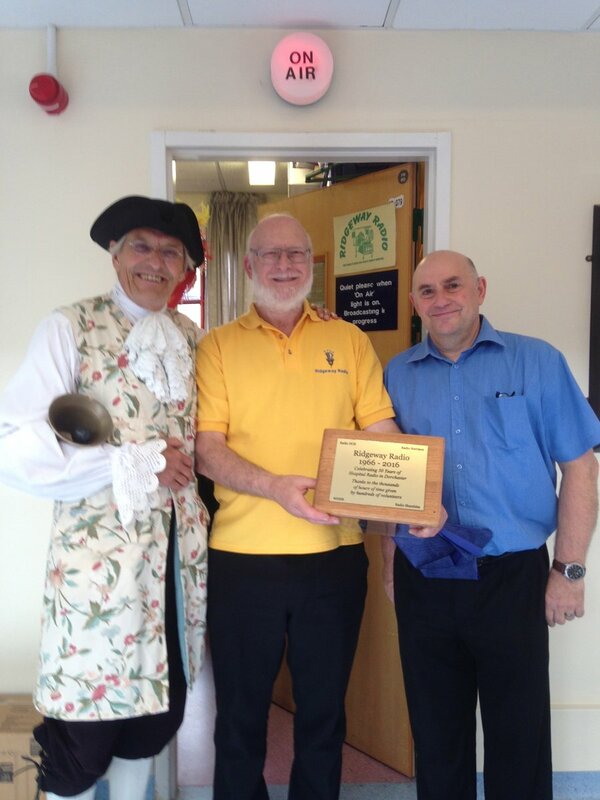 Earlier in the day, at 12 noon, Ridgeway Radio’s President and Dorchester Town Crier, wearing full ceremonial costume as he did for the rest of the day, gave a special cry at the Town Pump proclaiming the 50th anniversay to a large group of passers by which was broadcast live via phone to our listeners. 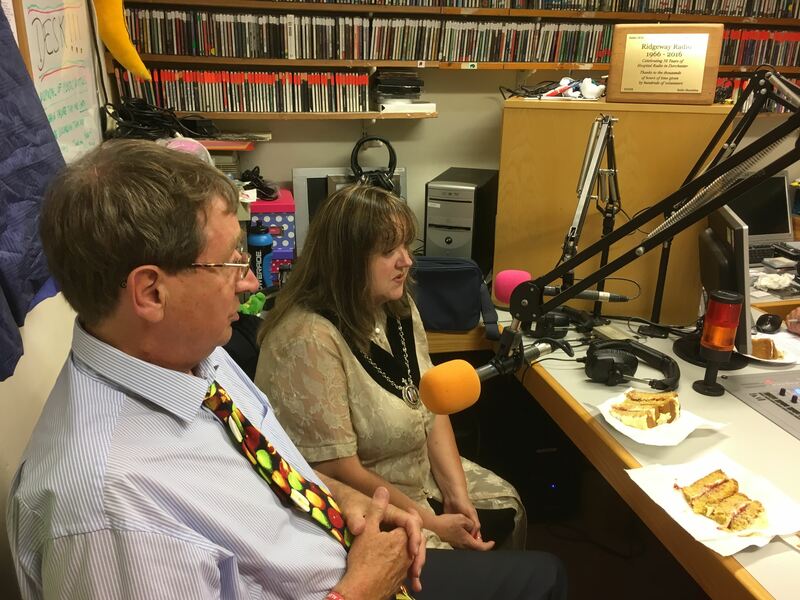 Click the Play button below to listen to it. 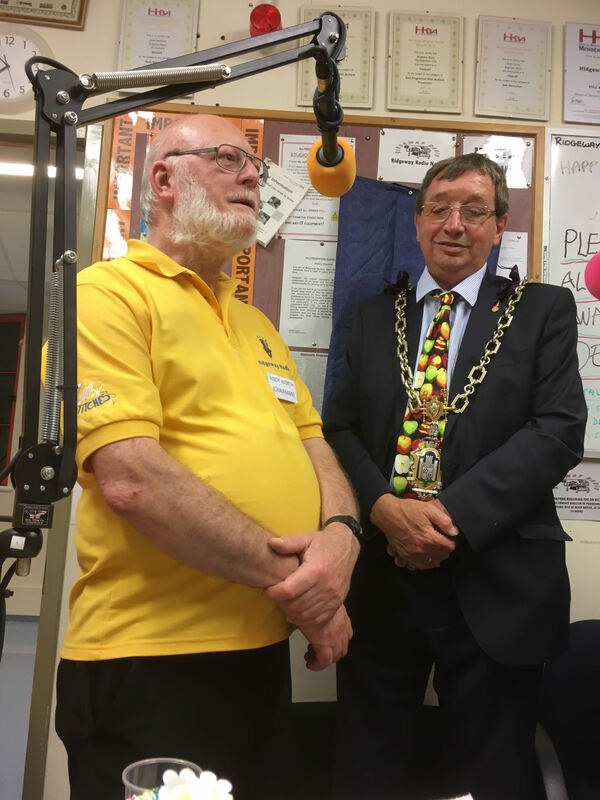 Town Crier announces the 50th anniversary of hospital radio in Dorchester. 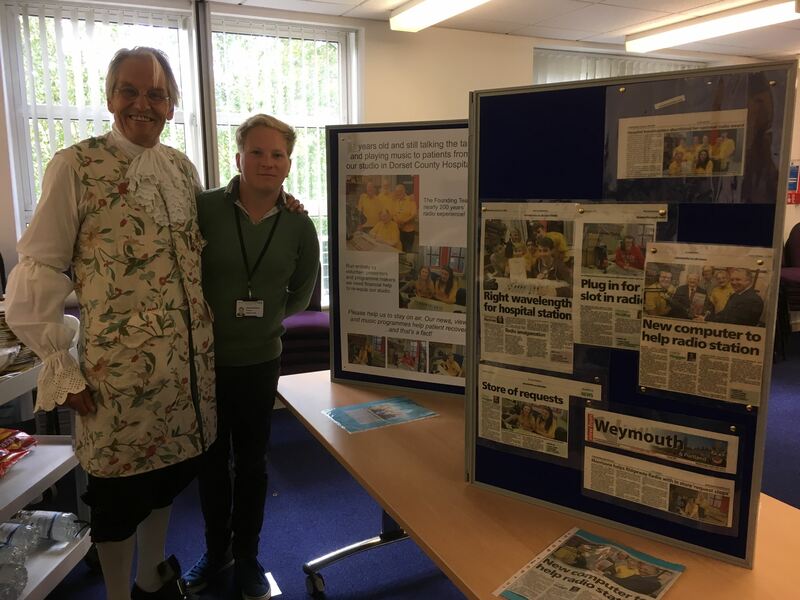 12 noon, 29th September 2016. 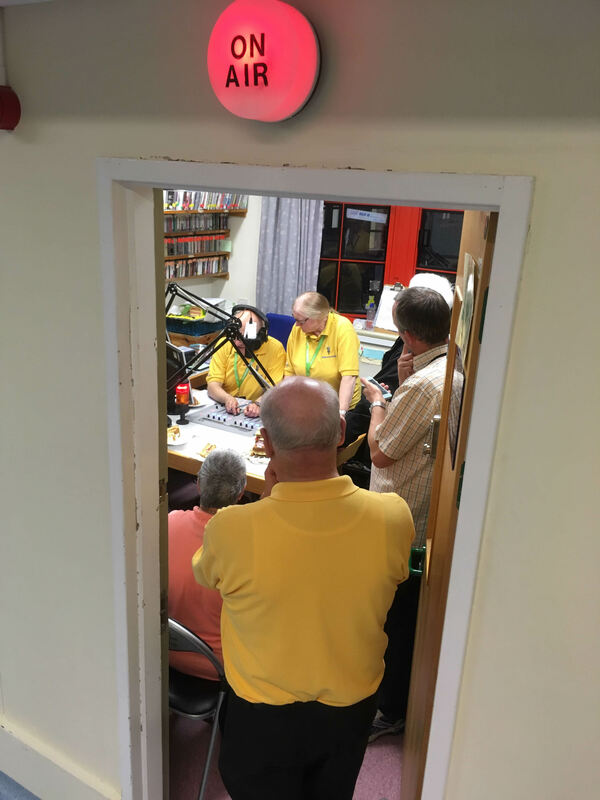 Below is a gallery of images from the reception and studio (click on a picture to enlarge it) and two short videos made by Kieran Williams. 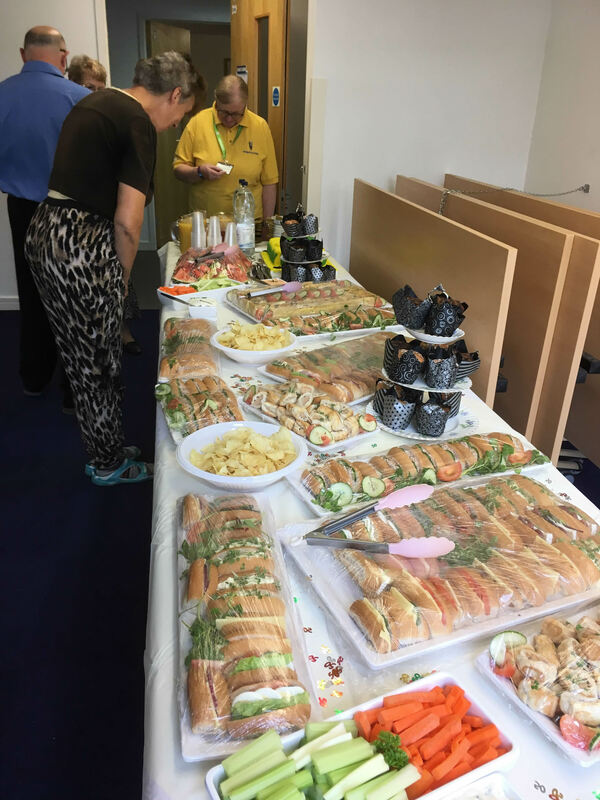 The excellent buffet prepared for us by the DCH catering dept.